THE HUMBLE OAT | Swiish - Fashion, Beauty, & Lifestyle. There’s nothing better than a delicious bowl of warm, creamy oats on a chilly winter morning. Just the smell of them makes me hungry! But oats shouldn’t just be reserved for winter. This multi-purpose grain makes for a perfectly healthy meal all year round (and all day long too!). ❤ Rich in a special dietary fibre called ‘beta-gluten’ that helps to remove cholesterol from the digestive system. Not only are oats super nutritious, they’re seriously yummy too! The mild flavour means they can be used in so many different ways. Hot or cold, sweet or savoury, blended up or even all on their own! It’s totally up to you. The important thing to remember is that oats shouldn’t just be reserved for breakfast. Believe it or not, oats are still good for you whether you eat them for breakfast, lunch or even dinner! So we dare you, in fact WE CHALLENGE YOU, to take a step out of that boring brekky comfort zone and try something a little less conventional. Here are some of our favourite recipes that we feel really highlight the versatility of this humble grain. Preheat your oven to 190 degrees C. Oil a 20cm x 20cm inch baking dish and set aside. In a saucepan, bring blueberries, agave nectar, lemon juice, and water to a boil over medium high heat. When it boils, stir in the vanilla and arrowroot mixture. Remove from heat and allow to cool. Process 1 1/2 cup of the oats in a food processor until they are a fine powder. Combine the processed oats, the remaining 1 1/2 cups of rolled oats, cinnamon, baking powder, and salt in a bowl and mix well. Add the applesauce, agave nectar, and vanilla and mix until everything is well combined. Add the coconut oil and use your hands to incorporate it into the mixture evenly until mixture resembles cookie dough. Press about half of the mixture firmly down into the bottom of your baking dish to form a crust. Pour the blueberry mixture on top of the crust layer. 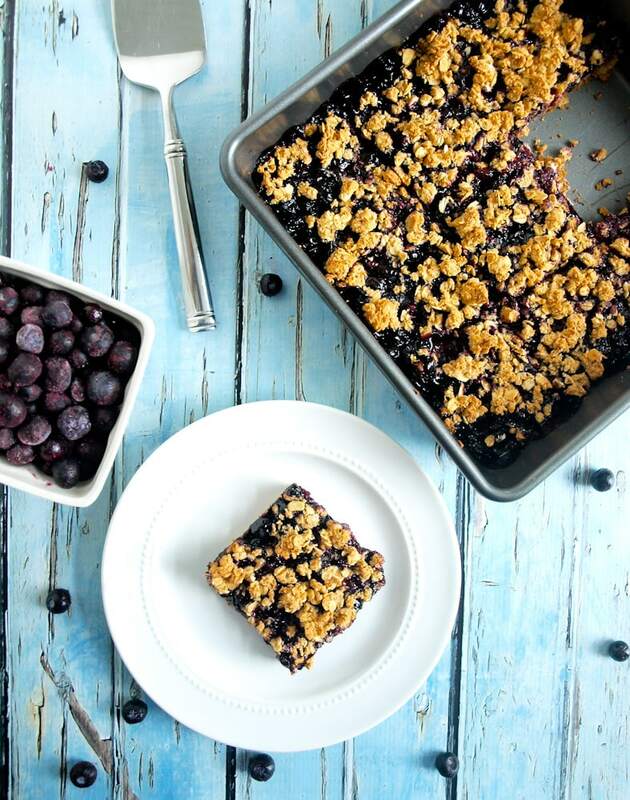 Sprinkle the rest of the oat mixture on top of the blueberry mixture in crumbles. Bake for 30 minutes in the preheated oven. Allow to cool before cutting into squares. Store in the refrigerator. Enjoy! Preheat oven to 190 degrees C and generously butter/oil a 20-22cm loaf pan. In a food processor, pulse oats until almost flour- I still like little pieces of oats left. Pour into a large bowl and add wheat flour, spices, baking soda, and nuts. In a sauté pan, heat the olive oil or thoroughly cover with cooking spray. When the pan is hot, toss in the onions and cook until golden and fragrant, about 2 minutes. Add in the mushrooms and thyme. When everything is a deep bronze colour, turn off the heat and transfer to a plate. In the same pan, heat the oats dry, over low heat, so that they begin to toast. Stir them continuously; they will burn very easily if you’re not careful. When they begin to smell nutty and darken, slowly add in the liquids. Stir for about 1 minute, and then turn the heat off, cover the pan, and leave the oats to absorb the liquid for a few minutes. Once most of the liquid is absorbed, add in the sautéed vegetables, and heat together. The oats should be creamy and pretty thick. At the last moment, sprinkle in the parmesan cheese and stir like crazy! Transfer to a bowl or dish and season to taste. Enjoy.